The first issue of the Lowy Institute G20 Monitor, which will regularly report on G20 developments and analyse issues, has been released. The first issue of the Monitor, which is produced by the G20 Studies Centre, canvases the challenges facing the G20 in 2013. Many are worried that the G20 ‘s agenda is expanding too widely and covering too many unrelated issues. It needs to get ‘back to basics’. Russia, as chair of the G20 in 2013, will need to focus on the critical issues confronting the global economy. Given a weak, unbalanced and vulnerable global economy, it is essential that the G20 give top priority to reinvigorating global growth. The economic ‘to-do’ list must include strengthening the process by which G20 members make policy commitments and are then held accountable for implementing these commitments, resisting protectionist pressures, and maintaining and expanding the multilateral trading system. Some see the priority for the G20 being on strengthening the role and resources of the IMF, enhancing the role of the financial stability Board and cementing accountability under the Mutual Assessment process. Another view is that there is a gap in the international governance architecture in the area of energy security and that this should be a focus of the G20. The view from non-G20 members is that the forum is not sufficiently representative but these countries are would be prepared to trade off inclusiveness for effectiveness. But G20 members are not acting in a way consistent with their role of providing global economic leadership. Welcome to the first issue of the G20 Monitor from the recently established G20 Studies Centre at the Lowy Institute for International Policy. The establishment of the G20 Studies Centre is an important initiative which has been supported by the Australian Government. I am particularly honoured to have been appointed as the Director of the G20 Studies Centre with effect from 1 December 2012. Having been directly involved in the G20 while working at the Australian Treasury as the Executive Director, International, I am looking forward to contributing to the development of the G20 through the activities of the Studies Centre. The G20 Leaders process is one of the most significant developments in global economic leadership in recent years. Its emergence reflects the shift in the global centre of power towards the emerging market economies, particularly in Asia. Given the range of complex issues confronting the international community, and the weak global economic recovery, it is important for all countries that the G20 be successful. Australia will chair the G20 in 2014 and is now a member of the G20 Troika (comprised of past, present and future chairs). This puts Australia in a strong position to influence the development of the G20 and the international economic agenda. The G20 community will be looking to Australia for leadership. The G20 Studies Centre will help the Australian government fulfill that expectation by researching and analysing the key issues that are, or should be, on the G20’s agenda. Its objective is to help strengthen the G20 with independent analysis, fresh ideas and constructive, pragmatic recommendations. The Centre will do this by preparing policy papers, conducting workshops with academics, the business community and officials, and hosting international and regional conferences. The Studies Centre is also a member of the Think 20, a network of think tanks from G20 countries that share ideas and research on G20 areas of common interest. I attended a Think 20 meeting in Moscow in mid-December at which Russia sought input from the think-tank community for its term as G20 chair in 2013. As part of the G20 Troika arrangements I will be co-chairing the meeting with representatives from Russia and Mexico. 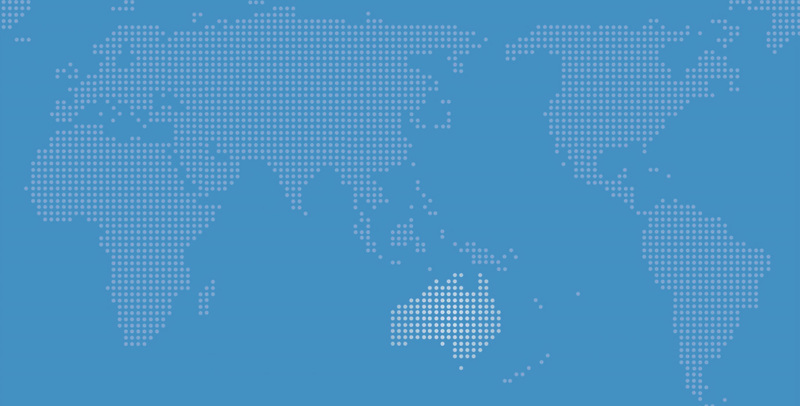 The Lowy G20 Studies Centre will be hosting the Think 20 Network in 2014. The goal of the G20 Monitor is to provide both regular updates and assessments on G20 developments as well as analyses of particular issues on the G20 agenda and broader international economic governance issues. This first issue of the G20 Monitor focuses on the issues confronting the G20. Mark Thirlwell and I outline the challenges Russia faces as the new chair of the G20 in 2013. We argue that Russia will need to focus the G20 on the critical issues confronting the global economy. Many worry that the G20’s agenda has been expanding too widely and covering too many unrelated issues. Given a weak, unbalanced and vulnerable global economy, it is essential that the G20 give top priority to reinvigorating global growth. Mark and I provide a ‘to-do’ list for the G20 that includes strengthening the process by which G20 members make policy commitments and are then held accountable for implementing those commitments, resisting protectionist pressures, and maintaining and expanding the multilateral trading system. All of these authors see the G20 at a delicate stage. Skilling notes the concern of small countries that the G20 is not sufficiently representative but argues that these countries would be prepared to trade off inclusiveness for effectiveness. In his view, however, G20 members have failed to act in a way consistent with their role of providing global economic leadership. In terms of the shared view that the G20 should get ‘back to basics’, Barry Carin argues that the forum should focus on strengthening the role and resources of the IMF, enhancing the role of the Financial Stability Board, and cementing accountability under the Mutual Assessment Process. Colin Bradford identifies a gap in the international governance architecture in the area of energy security and sustainability, and suggests that this should be a focus of the G20. Some of the issues raised in these articles will be on the work program for the G20 Studies Centre. The international contributors to this first edition of the G20 monitor all have high expectations of the role that Australia can play when it assumes the chair of the G20 in 2014. The goal of the G20 Studies Centre is to help Australia meet these expectations and to ensure that the G20 realises its full potential. On 1 December 2012, Russia took over the chair of the G20 Presidency from Mexico (and at the same time Australia joined the ‘Troika’ of past, current and future chairs). Moscow is taking on the presidency at a challenging time for the world economy and for the G20 itself. How the G20 responds to these challenges will have an important bearing on future global economic prospects, the future of the forum and more directly, the environment in which Australia will assume the G20 chair in 2014. While acknowledging some significant early successes, many observers have become pessimistic about the recent performance of the G20. According to this increasingly fashionable view, after getting off to a strong start with its response to the global economic and financial crisis, the grouping has become less effective with an ever widening agenda. While some of this analysis tends to reflect unrealistic expectations of what the G20 can achieve, the critics do have a point. In particular, new items keep being added to the G20 agenda even before existing ones are resolved, and without due regard for the fact that time is a limited commodity for G20 Leaders. The result has been a combination of mission creep and a failure to deliver. For example, continuing to specify a date to complete the Doha Round of international trade negotiations and then failing to do so, along with the failure to implement the agreed reform of the quota and governance of the IMF by the pledged deadline of the 2012 Annual Meetings, have damaged the G20’s credibility. At the same time, each G20 chair has added its own issues to the forum’s agenda, contributing to a growing backlog of unfulfilled commitments. G20 summits have also become clogged up with too many participants, formal presentations and status reports. Meanwhile, the global economy remains fragile and downside risks prevail. A critical challenge for the Russian presidency in 2013 and for the Australian presidency in 2014 is to focus the G20 agenda to ensure that the value of the forum, and especially the Leaders’ process, is maximised. The G20, and in particular the Leaders, need to concentrate on the most pressing international economic issues. The G20 Leaders’ process originated as a response to the global and economic financial crisis. As a result, its credibility is critically dependent on helping to restore global economic growth. In Pittsburgh in September 2009, G20 Leaders promised to launch a framework for policies ‘to generate strong, sustainable and balanced global growth’. The result was the Framework for Strong, Sustainable and Balanced Growth (FSSBG) and the supporting Mutual Assessment Process (MAP). This was potentially an historic achievement, with the major economies committing to the policies required to achieve stronger growth. Yet today, the global recovery remains extremely fragile with weak, unbalanced growth and large downside risks. A concerted, international effort is now required to manage these vulnerabilities and to ensure countries implement the policies that are needed to restore growth and create jobs. A focus on reinvigorating global economic growth means that a number of key items should be on the G20’s agenda, including: building on the FSSBG and the MAP; providing more support for trade and investment; delivering on the G20’s development commitments; and pushing on with the reform of the international financial architecture. First, the FSSBG and the MAP should form the core of the G20’s drive to achieving sustainable growth. Together, the FSSBG and the MAP set out the mutually reinforcing policy steps that G20 members need to take to reinvigorate global growth while providing an accountability mechanism to ensure that policy commitments are in fact implemented. The FSSB and MAP have the potential to be the single most important initiative by the G20. Establishing and then implementing credible medium-term fiscal consolidation plans. Introducing efficient and effective ways of restructuring unsustainable public debts. Ensuring that private credit markets are operating effectively in order to support private sector consumption and investment, including infrastructure investment. Analysing the implications of the use of unconventional monetary policy instruments, their potential spillovers and possible future inflationary pressures. Assessing the adequacy of ‘safety nets’ or ‘firewalls’ at both the global and regional level and their adequacy in preventing contagion and financing adjustment. Second, there is an important place for trade and investment issues on the G20’s agenda. In particular, maintaining and expanding the multilateral trading system is vital to restoring economic growth and promoting development. In a world of weak and uneven growth, there are significant protectionist pressures on governments. G20 Leaders have already committed to resist protectionism in all its forms and their success in minimising the erection of new trade barriers has been an important achievement despite some minor – but credibility-damaging – backsliding. The G20 should not just be preventing any additional protectionist backsliding, it should also be advancing further multilateral trade liberalisation. Towards this end, and given the terminal state of the Doha negotiations, the G20 should consider supporting new approaches to achieve progress on multilateral trade liberalisation, such as plurilateral approaches, as well as concluding the negotiations that have taken place in the WTO on trade facilitation. It should also identify how the output from the current monitoring of trade and investment measures by the WTO-UNCTAD-OECD, along with a monitoring of non-tariff measures, can generate peer pressure to both resist further protectionist steps and roll back existing examples of protectionism. Foreign direct investment (FDI) is also critical to global economic growth and development. The G20 should therefore focus on the steps needed to promote FDI flows. While ultimately the pursuit of sound economic policies is critical for attracting FDI inflows, the G20 should consider some of the specific measures that facilitate the predictable and stable environment that best encourages cross-border capital flows. This may require the eventual development of a new international investment regime. Development is another item that is already on the G20’s agenda and which must remain a focus of its efforts. The G20 has already made some progress in fostering financial inclusion, enhancing food security and intensifying the fight against corruption. These efforts could be supplemented by further work on market-based mechanisms to respond to climate change and on climate-change financing. Finally, the G20 has promoted the reform of international financial organisations, including the IMF and World Bank. This should be a continuing focus, in particular, completing reform of the IMF’s quota and governance arrangements. Reform of the governance and operating arrangements of other international organisations, such as the WTO and the International Energy Agency, could also be on the agenda. In addition to these key items on global economic issues, the G20 should be focused on its own governance. Over the next year the Russian chair can make a major contribution to making the operation of the G20 more effective. First, Russia has already declared that it will be looking to a ‘back-to-basics’ agenda. Ideally, that will involve a minimum of additions to what is already an extensive G20 agenda, and a restated commitment to core competencies such as the FSSBG. It would be a substantial bonus if the Russian presidency could go even further and come up with ways to actively trim the current agenda. Second, in 2011 the Cannes Summit formalised the ‘Troika’ system of G20 governance. The evidence to date suggests that the Troika system has some way to go in terms of effectiveness. A priority of the Russian chair – and the Australian chair that follows – should be on having an active and effective Troika process. At minimum, there should be a clear understanding among Troika members as to what is expected of them. If the Troika system is not working then a viable alternative – one that avoids the potentially stultifying consequences of a permanent secretariat – will need to be found. Third, the problem of excessive numbers at G20 summits argues for a more ruthless approach regarding who gets to participate at the ‘top table’. Cutting the number of formal presentations made during the meetings would also help Russia’s aim of getting ‘back to basics’. Finally, the G20’s public image has not been helped by the drift towards longer and more turgid post-summit statements and reports that seem almost deliberately designed to go unread. Shorter, more reader-friendly summit statements would also be an important change. When a country assumes the chair of the G20 it does so with good intentions to make the G20 process more effective and focused. It will be important that all G20 members help the chair deliver on those intentions. This is a particular role that Australia should play now that it is a member of the Troika. G20 Summits stand at the cusp of a third phase in the evolution of this new form of summitry. Russia, Australia and Turkey face the responsibility, as hosts over the next three years, for providing the tone, structure and substance of leadership for this next phase. To meet this challenge, the three host countries should focus on the domestic drivers of global economic issues to force progress on three priority fronts: (i) global rebalancing and growth; (ii) financial reform and stability; and (iii) energy security and sustainability. The first phase included the first three G20 Summits, beginning with the meeting in Washington in November 2008 which set the stage; the London Summit that provided the crucial $5 trillion stimulus, $1 trillion in additional IMF resources, and transformed the Financial Stability Forum (FSF) in Basel from a Euro-centric institution into the Financial Stability Board (FSB) containing all G20 members; and finally Pittsburgh, where the G20 put in place the ‘framework for strong, sustainable and balanced growth’ and declared itself to be ‘the premier forum for our international economic cooperation’. This first phase consisted of the heady days of transformation and action in the teeth of the global financial crisis. The second phase began with a reluctant G20 host in Stephen Harper, who favoured the G7/8 and who put on back-to-back G8/G20 Summits in Huntsville and Toronto in June of 2010 against the protests of China, Korea and others, who felt that this sequence subjugated the larger grouping to the smaller one. The Koreans responded by giving the G20 highest presidential priority, organising carefully, and reaching out to non-G20 countries in an extensive, intensive and substantively rich way. But the Seoul G20 Summit in November 2010 was overwhelmed in large measure by the discord among G20 finance ministers in Quongju in October over current account targets and the rebalancing agenda. This was to presage the Cannes Summit in November 2011, in which the Euro-crisis and Greek prime minister’s call for a national referendum overshadowed G20 deliberations on Europe and other global economy matters. The Los Cabos G20 Summit in Mexico in June 2012 was a well-run affair but seemed to position the G20 as a stepping-stone between European summits. The Rio Plus 20 Summit immediately following Los Cabos reinforced the impression of a summit process squeezed by action elsewhere, with Brazil insisting on primacy in the realms of Green Growth and sustainable development, which were also on the G20 agenda. How to make the G20 not only work more effectively but also appear to be achieving concrete, value-added outcomes. How to engage Leaders more directly in the agenda and make it their own rather than appear to be presiding over G20 finance ministers’ initiatives and conflicts. How to seize the new dynamics of domestic politics in the global age and use them within the G20 to generate better domestic economic policies that are both more effective at home but more coherent and mutually reinforcing internationally. How to provide global leadership on global challenges that for the moment lack existing international institutional visibility and support, such as energy, climate change, and sustainable development. These are big, important challenges for Russia, Australia and Turkey to address. Strengthening the G20 itself in phase three may be the biggest contribution these three G20 powers can make to the global economy and to global governance during their collective three-year tenure. In order to strengthen the G20, however, there needs to be greater recognition of the fundamental drivers at work. In particular, beneath the surface of policy conflicts among G20 governments visible at most G20 Summits thus far, is a deeper reality: the primacy of domestic concerns over international issues. All the major issues of job creation, financial stability, energy security, environmental sustainability, social cohesion and personal security are now driven by the welter of domestic forces defining those issues globally. Resolving domestic policy conflicts becomes a prerequisite for global leadership just as global leadership becomes a sine qua non for resolving domestic issues. Past G20 Summits have confirmed the primacy of domestic priorities over international efforts. Except for the London G20 Summit in April of 2009, which was a landmark in global summitry at the peak of the global financial crisis, the visibility of policy conflicts rooted in domestic political priorities has been the driving force of G20 Summits thus far. The G20’s Framework for Strong, Sustainable and Balanced Growth (FSSBG) and the Mutual Assessment Process (MAP) together involve countries committing to pursue specified domestic policies and saying that they will be accountable to their peers. As such, the core of the G 20 involves dealing with domestic issues, while at the same time, each country recognises that their policies can interact with and impact on other countries. More candid analyses and debates. Greater assertiveness and clarity of policy options. Stronger pressures for policy and institutional reforms which buttress the global economy. The current process for multilateral surveillance set in motion in Pittsburgh by G20 Leaders in the ‘mutual assessment process’ or MAP poses the possibility of new political dynamics, departing importantly from previous Article IV bilateral surveillance by the IMF. Peer pressure among G20 senior officials regarding ‘spillovers’ to the global economy from misaligned domestic policies of major economies potentially departs significantly from the pressure IMF analyses and officials were able to bring to Article IV consultations. But the key to the MAP rendering better outcomes than Article IVs lies in the candour, rigour and independence of IMF analyses and the willingness of G20 senior officials to pressure each other and to respond to analytical insights and innovative ideas generated by this new process. Unless behaviours change, the new process cannot do better than the older practice. The new process contains the elements for a new departure; but only time and experience will reveal whether G20 players are willing to engage in a new game. The three new G20 hosts could put the force of their individual and joint leadership behind vigilant enforcement of the new rules of the game, if they chose to do so. Some appeal for oversight and critical comment by a group of eminent economists could buttress this vigilance by Russia, Australia and Turkey. Similarly, the evolution of the FSB into an effective organisation and process also depends on the creation of new incentives for new behaviour, and strong interactive processes among senior officials from major economies. The FSB needs additional resources and further reforms, both of which could be forthcoming from G20 members and their leadership. For the FSB to both catalyse national actions to strengthen oversight, supervision and regulation of domestic financial markets and institutions and also coordinate norms, standards and principles for monitoring and evaluating spillover threats from financial markets and institutions with global ramifications is a tall order indeed. Again, the combination of strong peer reviews, clear and rigorous analysis, candid and forceful debates regarding analytical insights, proposals for action, and further institutional and policy reforms domestically and globally are crucial ingredients to carry the new agenda of the FSB forward. Whether individual G20 members’ governments and the three new G20 host governments are willing to force these crucial innovative elements into practice is an open question. Also, the crucial link between the technical work to implement financial regulatory reforms and the political task of holding this work accountable to parliaments and publics has yet to be fully explored or developed. Russia, Australia and Turkey could use their three-year tenure to support accelerated progress on the financial regulatory front and seek the help of independent evaluations and analysis as a means of pushing this critical agenda forward. Thirdly, the great gap in the global institutional architecture is in the field of energy. Investments in energy are immense, have long gestation periods and generate externalities for other investors, as well as for consumers. Yet, the energy business is more characterised by the exploitation of first-mover advantages, by the combination of corporate and geopolitical strategic interests, and by national competition among major private and public sector players than it is by transparent information systems, coordination and cooperation. There needs to be serious thought among major energy leaders, like Russia, Australia and Turkey as well as others, about the content, long-term perspective and global ramifications of the imperative of doubling the world’s energy sources by 2050. The linkages between energy and economic growth, equity and environmental balance need to be better analysed and more widely understood. The Los Cabos G20 Summit made a start on defining a Green Growth agenda. It was supported in a significant way by the Businsess20 (B20) task force on Green Growth which received inputs from some of the world’s leading experts. The Los Cabos declaration calls for a Green Growth Action Alliance (G2A2) composed of global energy actors to develop the Global Green Growth agenda further. This is an initiative which Russia, Australia and Turkey could seize and carry forward in an ambitious way rather than allowing it to languish, producing rhetoric but not results. This would fail to move the linchpin element in the global economy – energy – into the mainstream economic policy agenda. If successful, mainstreaming energy as an economic, social and environmental leveraging force could be a significant legacy for the new Troika of G20 Summit hosts. The core of the G20 involves dealing with domestic issues but also recognising their international context. Building global momentum for policy actions from bedrock national domestic sources of economic growth, financial stability, and energy security would therefore be taking advantage of a core G20 strength. Resolving domestic policy conflicts in these areas has become the prerequisite for global leadership. The G20 experiment is at a delicate stage. While the G20 is not on life support in the intensive care unit, its long-term prospects are problematic. There is a widespread chorus of criticism concerning its lack of follow-through on commitments, and its inability to resolve basic issues like the governance of the IMF. The Financial Review headline following the Cannes Summit, for example, was ‘Failures underscore another G20 flop’; the East Asia Forum headline after Los Cabos was ‘Is the G20 failing?’ If the G20 does not perform effectively, it will suffer the fate of APEC, where some Leaders now skip Summits, and become an ineffectual talk shop. The stakes regarding the G20’s continued existence and success are highest for countries like Australia and Canada. If the G20 fails, another configuration of major powers will convene informally as the ‘the premier forum for their international economic cooperation’. A successor to the G20 would likely involve fewer than twenty countries. In other words, a smaller group of eight or ten countries, excluding Australia and Canada, will convene as the next G grouping of Leaders to steer the global economy. Australia and Canada would not be in the room with the ‘rule-makers’; instead we would join the 180 or so ‘rule-takers’. Australia is in a pivotal position to work towards the continued successful existence of the G20 given its privileged position for the next three years. In the Cannes 2011 Final Summit Declaration, G20 Leaders ‘decided to formalise the ‘Troika’, made of past, present and future Presidencies to steer the work of the G20 in consultation with its members’. As a member of the Troika with Mexico under the Russian 2013 presidency, and as the G20 president in 2014, Australia should exploit the traditional prerogatives of the Summit chair. Australian influence will extend through 2015, when it will be part of the Troika under Turkey’s G20 presidency. Australia should focus on two things to ensure the success of the G20. The first priority should be to support the reported Russian priority of ‘back to basics’, which was only nominally the Mexican priority. The second, and only other, priority (you cannot ‘chase all the rabbits all of the time’) should be to improve the G20’s preparatory process. With respect to a back-to-basics substantive agenda, Australia should insist on a limited focus on just three problems. First, choreograph agreement on a strengthened role (and requisite resources) for the IMF, and effect a substantial reform (long overdue) on IMF quotas. Second, give the Financial Stability Board formal legal standing, with adequate staff and resources. Third, invest in the G20 Mutual Assessment Process, by establishing an independent office to review international impacts of domestic policies and to review national roadmaps for delivering on G20 commitments. The question then arises as to how to deal with the many other legitimate global problems that require collective action. Issues that cry out for G20 attention include ‘regulation’ of international capital flows; ‘rules of the game’ to deal with unsustainable sovereign debt burdens; and enhancement of the role of IMF Special Drawing Rights directed to the financing of global public goods. Other issues such as development, trade, food security (commodity price volatility and promoting agriculture), energy markets, climate change, and anti-corruption have all elbowed their way on to the agenda. Unfortunately, if everything is deemed to be a priority, then, in effect, nothing is a priority. The best approach, not to put too fine a point on it, is for the G20 to punt on all these other important issues. Here the G20 should draw on its record of commissioning work on issues and providing terms of reference. Typically, G20 Leaders have used four channels to deal with these issues. In addition to dozens of requests and instructions to their own portfolio Ministers, the G20 has sent remits to international organisations (e.g. inefficient fossil fuel subsidies) and High Level Panels (e.g. investment in infrastructure) and has asked a Leader to present a report with recommendations at a future G20 (e.g. President Sarkozy’s request to Prime Minister David Cameron on global governance). Thoughtful, well-framed invitations for ideas on these other issues would result in valuable reports and allow the G20 to focus on core priorities. While the Cannes Summit ‘welcomed’ his report, the G20 did not operationalise his recommendations. Australia should pursue Cameron’s recommendations on process, specifically in the following three areas: (i) working practices; (ii) the Troika; and (iii) a small secretariat. Korea and Mexico have already blazed the way on outreach and consultation. With respect to working practices, Australia could promote several of Cameron’s ideas. For example, he suggested the G20 Presidency might invite Sherpas to submit ‘input on the year’s achievements, areas for improvement and observations about the G20’s direction of travel….each Presidency might periodically organise seminars or joint meetings between Sherpas and external experts to discuss key economic issues, or convene a longer meeting for this purpose over each summer period.’ Another suggestion was to set up subject-specific taskforces, just for the duration of the Presidency, to prepare topics for their annual summit. All ministerial and working group arrangements should have automatic sunset or review clauses. Australia will have to do some arm twisting with respect to the Troika, despite G20 endorsement of the idea in the Cannes Declaration. Several of Cameron’s recommendations should be pursued. He suggested the Troika should have regular meetings during each Presidency year. ‘An indicative rhythm of meetings might include: early on in each Presidency; after the first quarter; mid-year or ahead of the year’s penultimate Sherpa meeting; and shortly after each G20 summit.’ He recommended that each G20 Presidency appoint a senior official within the Troika to oversee engagement with the UN. Another option was for the Troika to be charged to review G20 ministerial and working group arrangements on a regular basis to assess their usefulness and continued relevance. If Australia wishes to strengthen the Troika, Russia and Turkey should be supporters – after all, it affords each country the opportunity for influence for two years in addition to their presidency. After 2015, according to the Cannes Final Summit declaration, annual presidencies of the G20 will be chosen from rotating regional groups, starting with the Asian grouping comprised of China, Indonesia, Japan and Korea. Given Korea’s Seoul summit, this means the 2016 chair will be China, Indonesia, or Japan. Each of these countries should also see the merit of a three-year term on a strong Troika. The key to establishing a small G20 secretariat to provide for institutional memory and continuity between presidencies is, as Cameron pointed out, to avoid jeopardising the G20’s Leader-led and informal character; ‘the G20 needs to avoid transferring its steering and policy development out of the hands of its members.’ Rather than a permanent policy group, Cameron recommended ‘a small secretariat, possibly staffed by seconded officials from G20 countries and based in and chaired by the Presidency. … The secretariat could reside in and be chaired by the country holding the annual Presidency. It could act as part of the Presidency team, and draw its staff from Troika members and officials seconded from G20 members as desirable.’ Continued control by Leaders and the maintenance of the desired informality can be ensured by rotating the location of the secretariat with the presidency and by staffing it with seconded officials from Troika countries. In 2014, Australia should press for the Cameron notion of a small G20 Secretariat, at least on a trial basis, staffed with highly qualified secondees from Russia and Turkey. With support from China, Brazil, and Russia, Australia will be able to convince the other G20 members. Generalisations about national character usually have more than a grain of truth. Canadians think of Australians as candid and direct. A former Australian prime minister once spoke of his inherent distaste for grandiose rhetorical statements which don’t have any substantive dimension to them. This characteristic is just what the doctor ordered. Australia will be able to convince G20 colleagues to go back to basics on the substance and to improve the G20 process to everyone’s satisfaction. The G20 is in good hands. A common small-country critique of the G20 is that it is non-representative. The G20 may account for about 85 per cent of global GDP and about two-thirds of the world’s population, but G20 membership does not directly include about 90 per cent of the world’s countries (including 25 of the 34 IMF advanced economies). Singapore, responsible for initiating the Global Governance Group in 2009 to better link the G20 with the UN, notes that ‘Unlike the UN, where we all have a voice, the G20 process is closed’. Of course, the G20 is by definition more representative than the G7 or G8. But the concern is that the G20 – a self-styled premier global economic policy forum – regards itself as a more representative body than it actually is. Non-members worry that, over time, more of the global policy debate and decision-making that used to take place in the IMF and other multilateral institutions will instead take place at the G20. Even if the G20 continues to use these bodies as its ‘operational arms’, fewer of the important debates will occur there. In this light, small countries fear that the G20 is part of a process of weakening the multilateralism that has supported the strong, rules-based process of globalisation over the past 60 years. Although the strong influence of large economies in global decision-making predates the establishment of the G20, small countries were at least able to actively participate in the work of the multilateral institutions in a way that they now feel is at risk. However, although the traditional multilateral institutions are formally more inclusive than the G20, they are also increasingly struggling for effectiveness. Global negotiations on climate change and trade are stalled. The world needs effective global economic governance, which will likely require a limited group of countries. So although the G20 is not fully inclusive it does at least offer the prospect of more effective global economic governance. As many have noted, if the G20 didn’t already exist, something like it would need to be created. The fundamental problem is that trading off inclusiveness for effectiveness only works if the G20 is in fact effective. But small countries can reasonably point to concerns about both the effectiveness and the legitimacy of the G20’s operations. The G20 is struggling to deliver impact after the immediate crisis response, its expanding membership and agenda makes its position relative to existing organisations unclear, and the G20’s policy behaviour collectively and among member countries is not always consistent with a global leadership role. The deep exposure of small countries to the global economy means that these issues affect their vital national interests. This note describes some possible responses that would go some way to addressing these small-country concerns about the effectiveness and legitimacy of the G20. How has the G20 performed to date? The G20 got off to a high-profile start with its response to the global financial crisis. Announcements of stimulus and of policy resolve were made, which had an impact in terms of stabilising sentiment (even if many of the actual policy decisions would likely have happened anyway). However, once the immediate crisis passed, the differences in interest and perspective among G20 members made it difficult to achieve a consensus on meaningful issues (such as guidelines on external balances). Although useful contributions have been made to increase the IMF’s resourcing, little of policy substance has happened. It has been argued that we have a G-Zero rather than a G20, with no effective global leadership. In fairness, this is not a criticism that is unique to the G20, with other international groupings not making much progress either. Another issue that is increasingly apparent is the unclear nature of the G20 agenda. The agenda has been expanded, many initiatives launched, and the Summit hosts often use an ambitious agenda as a national branding exercise. The Summits are also frequently overtaken by fire-fighting. For example, the wide-ranging substantive agenda at the Cannes Summit was dominated by the Eurozone crisis. Agenda creep dilutes the impact of the G20. In addition, the G20 has experienced membership creep, growing from the initial 20 members to 35 countries and regional or international organisations in attendance at the 2012 Summit in Mexico. Not only does this large participant list, combined with an expanding agenda, compromise the effectiveness of the G20, it also makes the G20 look less like a complement to the existing multilateral institutions and more like a substitute (increasing the concerns of the small countries). Increasingly, the G20 has the worst of both worlds, facing many of the same issues with respect to effective decision-making as the multilateral institutions but without the organisational legitimacy that these institutions have. What problems does the G20 now face? In addition to the failure to deliver much beyond the immediate crisis response, there is a concern that G20 members are not offering the leadership that is required. And particularly, that some G20 economies are contributing to the serious problems now facing the global economy: variously accumulating imbalances, running overly loose macro policies, not dealing with serious structural issues, and engaging in protectionist activities. One way to think about these policy settings in large economies is in terms of the parallels with the ‘too big to fail’ financial institutions. As is the case with large financial institutions, large economies do not internalise the full costs of their policy decision-making on others (such as loose monetary policy that has an impact on other economies); are somewhat insulated from market pressures (the United States is regarded as a safe haven despite its public debt load); and are more likely to receive official support when they encounter problems (e.g. the IMF in the Eurozone). Although the G20 economies provide a valuable engine of demand as the largest spenders in the global economy, and although some also provide liquidity through issuing reserve currencies, substantial global risk exposures can be created when these economies pursue unsustainable policies. And arguably, we have moved from a situation in which large economies provided ballast in the global economy, stabilising it and managing risks, to a situation in which this weight is breaking loose and is acting as a destabilising force. As noted in the IMF Spillover Reports, there are concerns about the cross-border effects of the Eurozone crisis, the short-term fiscal cliff and structural fiscal imbalances in the United States, the aggressive monetary easing in many developed economies, and the risks of a hard landing in China. Large economies are increasingly a source of systemic risk, which may compromise the performance of the global economy. The deep exposure of small economies to the global economy means that the global risks created by G20 economies are of particular concern to them. Given the ‘too big to fail’ parallels, some of the proposals to constrain the risk profile of systemically important financial institutions are likewise relevant to the G20 debate. Although large countries are clearly not about to break themselves up for this reason, global risk can be reduced through more conservative policy settings – and a greater focus on structural reform – in the systemically important large economies. Large countries should face some pressure to consider the impact of their policies on other countries. In other policy areas, such as trade, G20 members like Argentina are not acting as global leaders. Of course, there is variation in performance across the G20; countries like Australia, Germany and South Korea, for example, tend to exert a positive force. But there is room for improvement across the G20. What should the G20 do next? So from a small-country perspective, the G20 has a mixed record of achievement as well as an unclear agenda and ambition. And the G20, individually and collectively, is not acting in a way fully consistent with its global leadership role. But the importance of a functioning G20 remains: the world needs effective global economic governance. There are some steps that can be taken to address these issues, within the constraints of the current international environment, and to make the G20 more effective and legitimate. Specifically, here are three ideas from a small-country perspective for strengthening the G20. For the G20 to play a forceful global economic governance role, it needs to be organised appropriately. The G20 agenda should be sharper, and focused only on those economic and financial issues on which it can make a distinctive contribution; for example, managing major systemic economic risks, international economic policy coordination, and discussing the possible shape of a global trade deal. There should be particular clarity on how the G20 relates to existing institutions such as the IMF or the WTO. To the maximum extent possible, the G20 should act to strengthen the existing multilateral institutions and to make them more effective. Such clarity would contribute to the effectiveness of the G20 by better focusing its efforts (and managing expectations), as well as building the G20’s legitimacy among non-G20 members. The need for clarity extends to G20 membership, which has expanded substantially. The G20 should be restricted to those countries or regions that are systemically important and are making a positive contribution to an open, stable global economy. Twenty should be an absolute maximum for membership, not a starting-point. Again, this would make the G20 more effective and strengthen its legitimacy by making it clear that the G20 is a limited group of systemically important economies. Given their self-appointed role, it is reasonable for the rest of the world to expect that G20 members behave as responsible stewards of the global economy; to contribute to global growth and stability and to an open global system. They should also be accountable for their individual policy behaviour. Such accountability would help address the G20’s credibility gap with small countries. There are existing accountability mechanisms through the G20’s Mutual Assessment Process, in which the IMF reports on whether ‘policies pursued by individual G20 countries are collectively consistent with more sustainable and balanced trajectories for the global economy’. Several reports have been prepared, and the accountability mechanisms are being adapted over time. However, this process is owned by the G20 members and has not been particularly hard-hitting nor led to significant changes in policy behaviour. Greater accountability could be achieved by coupling the existing accountability mechanism with an independent assessment of the G20 by a group of other countries. Small countries could play a valuable role in this respect, providing independent judgement on whether the G20 group and individual G20 members are playing their expected role. Indeed, the acute exposure of small countries to the global economy and their deep stake in its effective functioning means that small countries are well placed to make such an independent assessment, and may identify issues on which G20 members do not focus. To the extent that G20 members are acting responsibly, it will help with the effectiveness of the G20 in achieving better outcomes – and also with its legitimacy. Realistically, it is difficult to imagine sanctions being attached to this process, but an independent accountability process would still provide a useful discipline. Although G20 members account for much of global GDP, they do not have a monopoly on policy wisdom, and they need to be open to other ideas and perspectives. Indeed, a limited group like the G20 faces an expectation that it will be open to the ideas of others. Insights from small countries with respect to the global economy are particularly valuable because they have a deep sense of the emerging global challenges and opportunities as well as the types of policy responses that might be appropriate. Indeed, many of the strongest performers in the global economy, and the countries with sustained records of policy innovation, are the small advanced economies. This experience means that small countries will be able to provide distinctive perspectives on the priority items in the focused G20 agenda, as well as insights on how large economies can respond effectively to globalisation. To the extent that small countries organise themselves coherently around well-developed, insightful perspectives on the G20 agenda, there should be an opportunity to shape the G20 agenda and discussions. Practically, this can be done through a stepped-up version of current G20 engagement efforts. The current outreach efforts occur in a variable way, depending on the G20 chair and the attitudes of specific G20 members. To improve this, there should be a structured process of active engagement with the group of high-performing, innovative small countries that is more than a compliance exercise in stakeholder management. Small countries will achieve more by investing in developing valuable ideas and perspectives than by arguing for greater representation. And the G20 will benefit from the insights of small countries that are performing well, have a record of policy innovation, and have a deep stake in the health of the global economy. The ideas offered in this note are aimed at strengthening the G20’s ability to contribute to effective, legitimate global economic governance. Rather than focusing on issues of representation at the G20, the proposed actions target a streamlined G20 membership that has a clear view on how and where it can make a distinctive contribution; that is willing to be held accountable for its behaviour and performance by independent countries; and that adopts an active, structured approach to engaging with credible countries to seek perspectives on priority agenda items and insights on appropriate policy responses. Small countries have an important contribution to make on all of these proposed areas of reform. Although these changes do not address the substantial differences in interests and perspectives among key G20 members that make collective action difficult to achieve, they will make a positive contribution to the effectiveness and legitimacy of the G20. This is in the vital national interest of small countries, and small countries should be actively engaged in this process. Mike Callaghan is the Director of the G20 Studies Centre at the Lowy Institute and editor of the G20 Monitor. Prior to taking up this position, Mike was Executive Director, International, in the Australian Treasury and Australia’s G20 Finance Deputy. He was also the Prime Minister’s Special Envoy on the International Economy. From 2005 to 2007, Mike was Executive Director, Revenue Group in the Australian Treasury where he was responsible for the provision of advice to Ministers on taxation and retirement income policies and legislation. In 2006 he was appointed by the IMF Managing Director and the President of the World Bank to an eminent persons group to report on improving cooperation between the World Bank and the IMF. From 2004 to 2005 Mike was Executive Director at the International Monetary Fund, Washington DC, representing a constituency of 14 countries, including Australia. Mike has served as Chief of Staff to the Australian Treasurer, the Hon Peter Costello. He joined the Treasury in 1974 and has held a variety of senior positions, including heading the Economic Division and the Financial Institutions Division. He has economic and law degrees from the Australian National University and is a graduate from the Royal College of Defence Studies, London. Colin Bradford is a Nonresident Senior Fellow of the Brookings Institution in Washington and a Senior Fellow of the Centre for International Governance Innovation (CIGI) in Waterloo, Canada. He is director of the Brookings-CIGI global governance reform project in the Global Economy and Development program at Brookings. From 1998 to 2004 he was Research Professor of Economics and International Relations and Distinguished Economist in Residence at American University. Between 1994 and 1998, Mr Bradford was a presidential appointee in the Clinton administration, serving as Chief Economist of the United States Agency for International Development, where he was also the senior official in charge of US relations with other donors, playing a leadership role in developing the International Development Goals (IDGs) which were precursors of the Millennium Development Goals (MDGs). Mr Bradford has also served as Head of Research at the Development Centre of the Organisation of Economic Cooperation and Development (OECD) in Paris and as a senior staff member at the World Bank. Barry Carin is a Senior Fellow at the Centre for International Governance (CIGI). He has a Ph.D. in economics from Brown University. He has served in a number of senior official positions in the government of Canada, including assistant deputy minister, trade and economic policy, G8 Foreign Affairs Sous-Sherpa, and High Commissioner to Singapore. He was the Associate Director of the Centre for Global Studies at the University of Victoria from 2000 to 2010. He was an editor of the journal Global Governance from 2006 through 2009. In addition to the institutional underpinnings, informal processes and functioning of global economic networks, such as the G20, he conducts research on future directions for international development and on global climate change policy. He played an instrumental role in developing the initial arguments for the Leader’s level G20. Dr David Skilling is the Founding Director of Landfall Strategy Group, a Singapore-based research and government advisory firm. David currently advises the Secretary of Foreign Affairs and Trade in New Zealand, is a Fellow at the Civil Service College in Singapore, and also engages with several other small countries. David writes regularly on small states and globalisation, including through a monthly column in the Singapore Straits Times. Prior to founding Landfall Strategy Group, David was an Associate Principal with McKinsey & Company’s Public Sector Practice, based in Singapore, as well as being a Senior Fellow with the McKinsey Global Institute. Before joining McKinsey, David was the founding Chief Executive of the New Zealand Institute, a privately funded, non-partisan think tank, which contributed to the public debate on important national issues. Until 2003, David was a Principal Advisor at the New Zealand Treasury. David has a Ph.D. in Public Policy, and a Master in Public Policy degree, from Harvard University, as well as a Master of Commerce (Hons) degree in Economics from the University of Auckland. He was a Teaching Fellow at Harvard University for three years, and was elected as a Young Global Leader by the World Economic Forum in 2008.
 International Monetary Fund, World Economic Outlook: Coping with high debt and sluggish growth. Washington DC, IMF October 2012.
 International Monetary Fund, The reform agenda: An interim report on progress toward a safer financial system, in Global Financial Stability Report: Restoring confidence and progressing on reforms. October 2012. Washington DC, IMF, 2012. The MAP is the multilateral process through which G20 countries identify their objectives for the global economy, set out the policies that need to be followed to meet those objectives, and assess the progress they have made towards these goals. Colin Bradford, A new global politics begins at home: the need to shift to the center of national politics in the era of globalization. Paper prepared for Session 5 on 'Shifting Leadership in a Fragile World' of CIGI’12, Waterloo, Ontario, Canada, November 9-11, 2012. Peter Drysdale, Asia and the G20. Preliminary version of a background paper for the inaugural conference of the Asia and the Pacific Public Policy Society, Crawford School of Public Policy, The Australian National University, Canberra, 7 September 2012. Failures underscore another G20 flop. Australian Financial Review, 7 November 2011. Maria Monica Wihardja, Is the G20 failing? In East Asia Forum, 3 October 2012: http://www.eastasiaforum.org/2012/10/03/is-the-g20-failing/. Who would host a G20 secretariat? The Chosun Ilbo, 15 November 2010. Sergei Karaganov, How the G20 can save the world. The Moscow Times, 18 October 2012. This note considers the G20 from the perspective of small advanced economies. Statement by Ambassador Vanu Gopala Menon, Permanent Representative of Singapore to the United Nations, on behalf of the Global Governance Group, 29 June 2010. Gideon Rachman, The G20's seven pillars of friction. Financial Times, 8 November 2010. Jean Pisani-Ferry, G20: decreasing returns. In Bruegel, 16 May 2012: http://www.bruegel.org/nc/blog/detail/article/777-g20-decreasing-returns/. Ignazio Angeloni and Jean Pisani-Ferry, The G20: characters in search of an author. Bruegel Working Paper 2012/04. Brussels, Bruegel Institute, March 2012. Ian Bremmer, Every nation for itself: winners and losers in a G-zero world. New York, Portfolio Penguin, 2012. Stephen Grenville, One G to rule the world. In The Interpreter, 9 October 2012: http://www.lowyinterpreter.org/post/2012/10/09/One-e28098Ge28099-to-rule-the-world.aspx. Pisani-Ferry, G20: decreasing returns. Ignazio Angeloni, The G20 should rise to the challenge (but probably won’t). In Bruegel, 12 June 2012: http://www.bruegel.org/nc/blog/detail/article/813-the-g20-should-rise-to-the-challenge-but-probably-wont/.